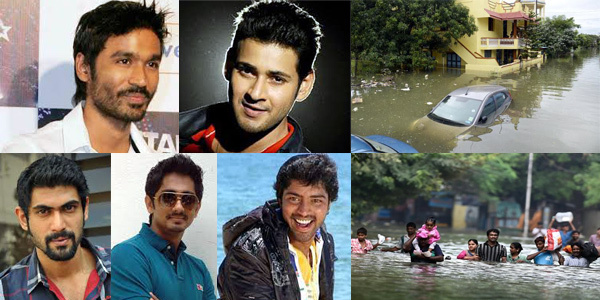 Chennai residents decry - Is it 'Singara Chennai' or 'Sakadai Chennai'? The Chennai flood has clearly exposed the civic authorities’ poor management. The overflowing of sewage lines reveal that the storm water drains were not cleared. Flooding of the homes expose that roads were laid without digging out the earlier layer resulting in roads being on higher than ground level. In short as actor Kamal Hassan claims the entire system has collapsed. Criticizing the failure of Tamil Nadu chief minister J. Jayalalitha’s administration Kamal Hassan in a statement lamented, “The entire system has collapsed. Where is all the taxpayer's money going? I don't take black money. I pay taxes. What is being done for me and my people with my hard-earned money?" Like Kamal Hassan even the common have expressed their grief and frustration at the ruling government. People are condemning the lethargy civic authorities’ for the flooding of their homes - and the near destruction of everything they possessed. Another resident irked by the civic administration poor services blasted, “Chennai city has lost its glory. No one will again call it 'Singara Chennai' (Beautiful Chennai). It is 'Sakadai Chennai' (Sewage Chennai)." However what is surprising is that Jayalathitha's finance minister O.Pannerselvam is all in praises for the government and has attacked Kamal Hassan bitterly. “We cannot tolerate Kamal Haasan’s blabbering just because he is a big actor or makes big films. People of Tamil Nadu who have complete faith in the Chief Minister will never believe or accept them,” he said. 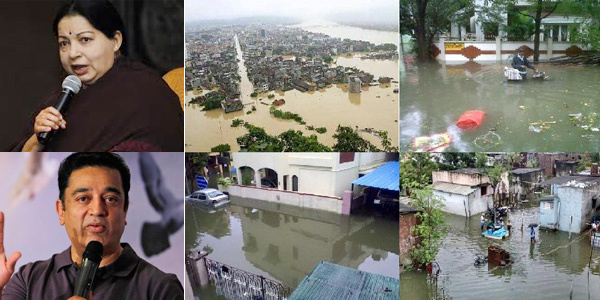 Interestingly while finance minister O.Pannerselvam is singing glory of the ruling government the ground reality is that Chief Minister J. Jayalalithaa is only making aerial survey of the affected areas and not reaching out to the effected people. Even the Ministers are not available for comments. Worse the Chennai Mayor Saidai Duraisamy, who is suppose to be the First Citizen of the city and must be frontrunner in such crisis, is also avoiding the media.